1970��� “Families of Bivariate Distributions” Griffin’s Statistical Monograph No.27. Charles Griffin & Co. Ltd. London pp.109+ix. 1978��� “Tables of the F- and Related Distributions with Algorithms” (with P.J. Zemroch). Academic Press, London and New York. pp256. 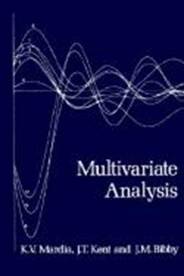 1998��� “Statistical Shape Analysis” (Dryden, I.L. and Mardia, K.V.) J. Wiley & Sons, Chichester. 2000��� “Directional Statistics” (Jupp, P.E. and Mardia, K.V.) J. Wiley & Sons, Chichester. 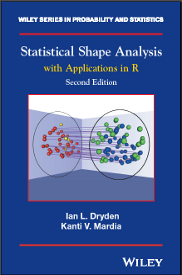 2016��� “Statistical Shape Analysis, with applications in R” (Dryden, I.L. and Mardia, K.V.) 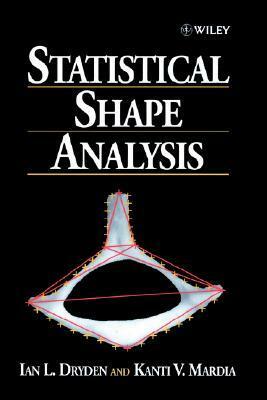 Statistical Shape Analysis, Second edition. J. Wiley & Sons, Chichester.